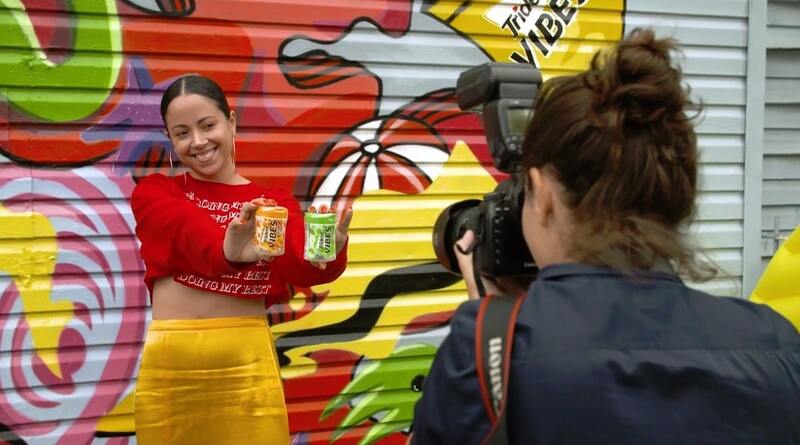 To celebrate the launch of the new Trident Vibes gum, Trident is teaming up with local artists to create Insta-worthy street art in New York, LA and Miami that is inspired by the Trident Vibes flavor journey. Residents of New York City got a look at the first mural and a taste of Trident Vibes. The Trident Vibes-inspired mural in Brooklyn was designed by Miami native and New York artist D’Ana of COVL.